The January 1 changes to Canada’s mortgage industry will remove up to 50,000 homebuyers from the market and threaten the entire economy, mortgage brokers warn. In a report prepared by its chief economist, Will Dunning, Mortgage Professionals Canada (MPC) estimates that 18% of buyers will fail the new mortgage stress test, which requires that all homebuyers qualify for a mortgage rate higher than what is available in the market. The ruling applies to federally regulated lending institutions, which includes all the major banks. The MPC said that about 91% of new mortgage applicants are subject to the stress test, because it covers high- and low-risk loans. High-risk loans are those with a down payment of less than 20% that require mortgage insurance. The new Office of the Superintendent of Financial Institutions rules require the minimum qualifying rate for all mortgages to be the greater of the five-year Bank of Canada benchmark rate (currently 4.89%) or 200 basis points above the mortgage holder’s contractual mortgage rate. Dunning estimated that the typical homebuyer will have to reduce his or her target price by 6.8% to pass the stress test. In Metro Vancouver, that would amount to approximately $71,000, based on the current composite benchmark price of just over $1 million. About 100,000 potential homebuyers are expected to fail the stress test, but Dunning forecast that half will acquire financing through alternative lenders such as credit unions, private lenders or other non-federally regulated financial institutions. From 40,000 to 50,000 potential homebuyers will fail the stress test or acquire non-conventional funding and will exit the home sales market, he said. Vancouver-area mortgage broker Dustan Woodhouse fears that the federal government is moving too fast with lending restrictions and that it could threaten the national economy. “I believe they’re trying to fix a problem that doesn’t exist,” said Woodhouse, adding that homebuyers taking on larger mortgage payments will have an impact on the overall economy. 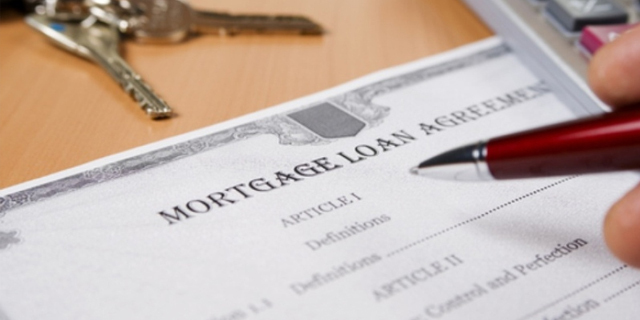 “If the economy contracts just a little bit, Canadians who have big mortgage payments will continue making them and won’t spend money elsewhere in the economy,” Woodhouse told the Mortgage Broker News. Subject to change. Conditions may apply. Considering a fixed rate mortgage? Get informed! Renovating your home is within financial reach. Find out how! Is your mortgage coming up for renewal? You should talk to a broker! Want a mortgage? Get a mortgage! Apply now! Want to find your monthly payment or what you can afford? Find out this and more with our easy to use calculators! © Copyright 2017, Mortgage Architects Inc. All Rights Reserved.